She resumed her combing as Becky quietly calculated the raise she’d need to afford to visit the salon more frequently than every six months. While many women living on a budget assume that luxuries like hair treatments are beyond reach, the truth is that good hair is as affordable as a cup of coffee. Not only that, but coffee also provides an excellent skin formula. What’s even more exciting is that it’s not necessary to waste good coffee – you can simply use the grounds, allowing you to recycle while making use of one of the world’s great beauty secrets – good strong Joe. What most coffee lovers don’t know is that their favorite brew strengthens and enhances the beauty and health of hair. Using coffee in your hair will result in a shine and softness that will make you wonder why anyone would ever waste money on expensive hair treatments. Just like coffee jumpstarts your day while you’re still dragging from dreamland, the caffeine it contains can do the same for your hair. First, the stimulating properties of caffeine have been scientifically proven to jumpstart follicle activity. What researchers discovered was that hair growth can be stimulated by topical application of coffee to the scalp. According to Dr. Tobias Fischer of Freidrich-Schiller University in Germany, coffee can be responsible for a 46% increase in hair growth rate. 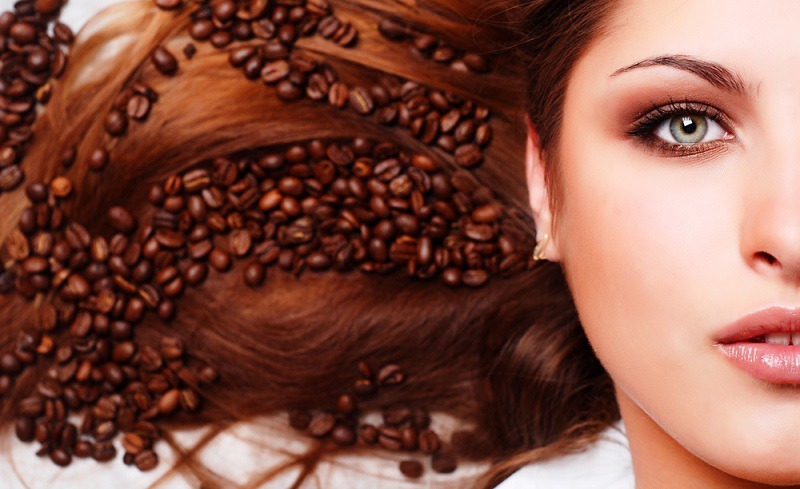 To use coffee to increase your hair volume, simply add strong coffee or coffee grounds to your shampoo. After applying the shampoo to your hair, allow it to remain for several minutes. Repeat this treatment as often as you shampoo. Another equally effective method is to combine coffee with your conditioner and leave it in your hair for up to an hour. You can cover your head with a towel to prevent staining your clothes. Rinse all the conditioner out of your hair, and enjoy the healthy shine! 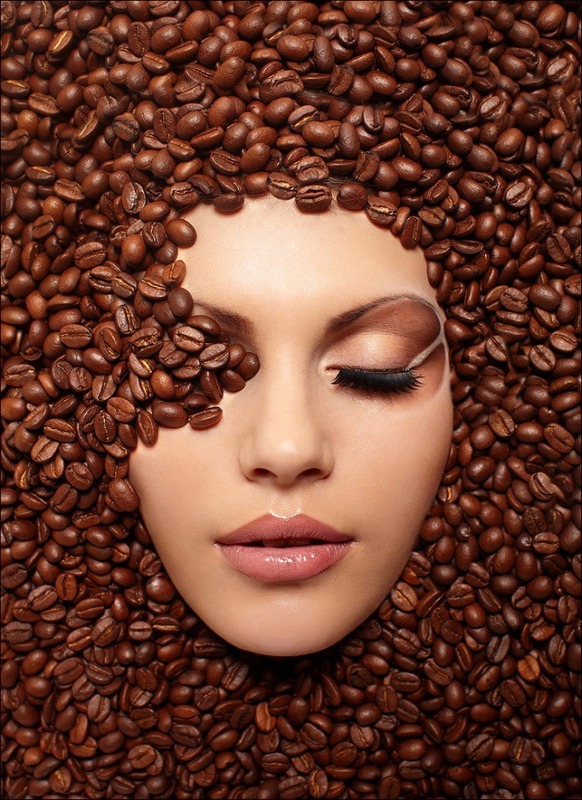 Another excellent way to use coffee as a beauty aid is as an exfoliating scrub. The aromatic coffee grounds that so easily awaken you each morning can be used to eliminate dead skin cells while the caffeine wakens your skin and stimulates a healthy glow. Another way coffee can benefit your skin is as an ingredient in eye creams. Adding coffee to eye creams can help reduce puffs under your eyes. Be careful about using coffee grounds on your face, because too vigorous scrubbing can irritate sensitive skin. It’s better used on tougher areas of your body, like your knees, elbows, or feet. Knowing the benefits of coffee on skin and in hair means that you can enjoy this natural treat without spending a fortune on pricey beauty aids, all while enjoying the wonderful scent of coffee all day long.